The International Resin Modellers Association is here to provide an exchange between hobbyists, resin kit dealers, manufactuers and anyone interested in learning about resin modeling. We offer tips on kit selection, building techniques, materials and finishing your kits. We will also be offering information on where to find the desired kit or how to submit it for production from a resin manufactuer. 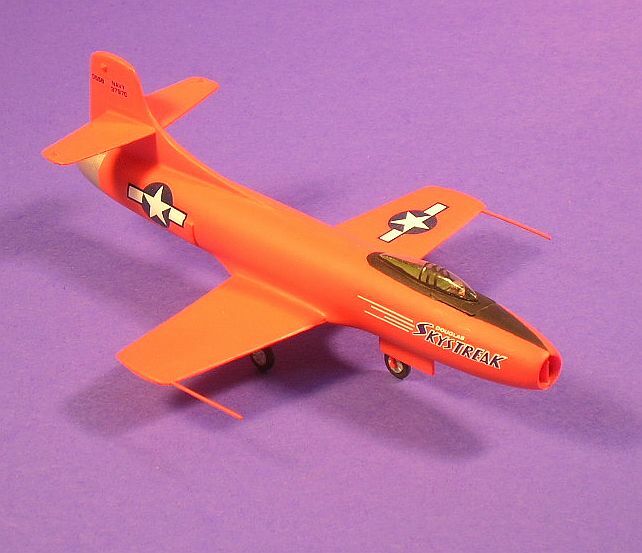 An example of an old Meikraft resin kit in 1/72 of the Douglas D-558 Skystreak. This kit typically came in a plastic like resin in orange, blue, white and other colors. There were approximately 25 parts including one vacuformed canopy. This level of model requires a bit more skill than a plastic kit with parts such as antenna, pilot and correct wheels being supplied by the builder. This kit was originally a solid resin kit moulded by Czech Master Resin Kits (CMK) in the Czech Republic, then manufactured in limited quantities by Meikraft of Texas and is currently available from ANiGRAND Craftswork in a hollow resin format and specialhobby in resin and plastic. 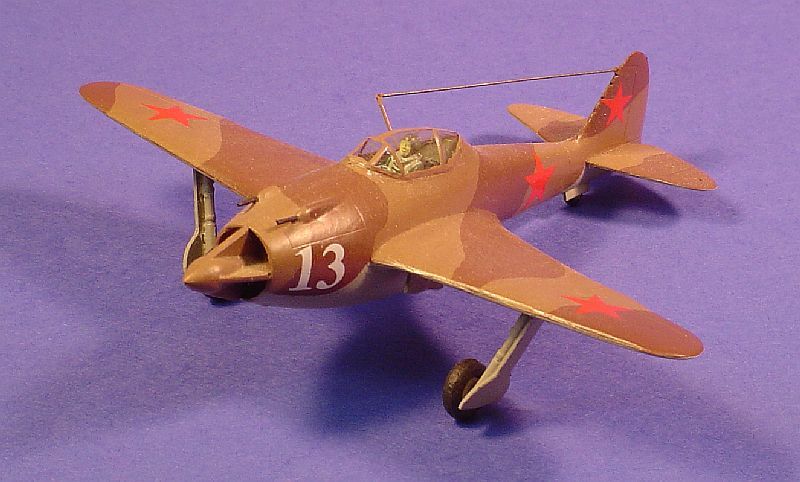 This is the Unicraft Models Gudkov Gu-VRD in 1/72. This was a mid-war Soviet attempt at a turbojet. It was to be powered by a Lyul'ka RDT-1/VDR-2 axial-flow engine, however, although the airframe was waiting, the engine was eventually bench-tested but never completed as a better version was envisioned. This is an all resin kit, and not an easy one. 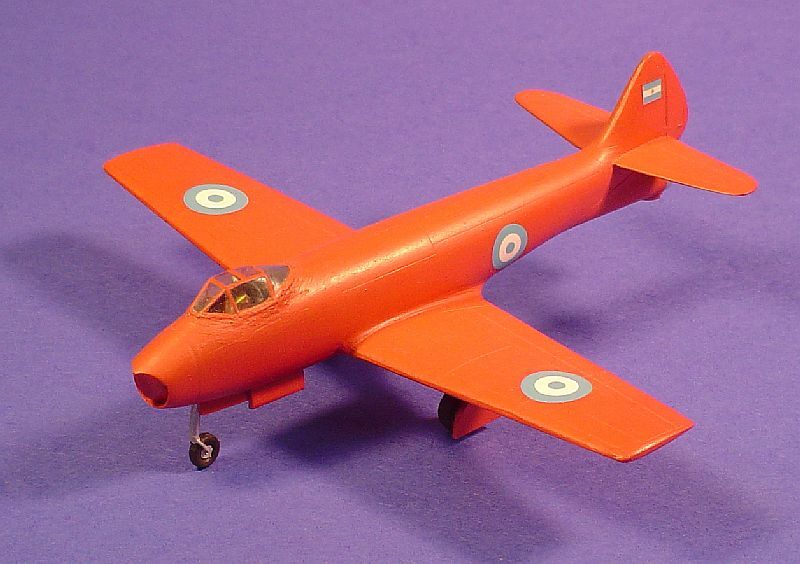 The Instituto Aerotécnico I.Ae.27 Pulqui I "Arrow" by Alliance Models in 1/72 is a very well moulded all resin kit with a vacuformed canopy. The parts are very clean, fit well, and required minimal filling and almost no sanding. Only the pilot was supplied by the builder. This was the first jet aircraft of Argentina and for Latin America. Flying in 1947 it was the ninth nation to put its own designed jet into the air.